Today, Backpacking is become a lifestyle, not only for people who have limited budget in travelling, many rich people do backpacking a lot. The purposes of backpacking may different, besides those two main reasons that i mentioned, there are some aspects that travellers look in Backpacking way. 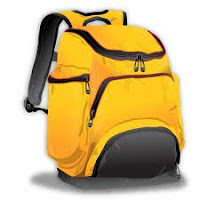 I personally regard backpack is an alternative way to learn new culture and become a survivor in new situation and location. I move my whole room into a bag and bring it into different places. The stuffs i bring are only piece of clothes and a little bit snacks, in backpacking, you are free and get freedom. This is my opinion, what's yours?